On July 3, United Nations Secretary-General Ban Ki-moon called on UN Member States that use the death penalty to abolish the practice, stressing that the right to life lies at the heart of international human rights law. During a panel organized by the Office of the UN High Commissioner for Human Rights, Mr. Ban said, “The taking of life is too absolute, too irreversible, for one human being to inflict on another, even when backed by legal process… Where the death penalty persists, conditions for those awaiting execution are often horrifying, leading to aggravated suffering.” Mr. Ban especially emphasized the need for change among Member States that impose the death penalty on juvenile offenders. He said, “I am also very concerned that some countries still allow juvenile offenders under the age of 18 at the time of the alleged offence to be sentenced to death and executed. The call by the General Assembly for a global moratorium is a crucial stepping stone in the natural progression towards a full worldwide abolition of the death penalty.” In 2007, the UN General Assembly first endorsed a call for a worldwide moratorium of the death penalty, a resolution that has been repeated in subsequent years. Today, more than 150 States have either abolished the death penalty or do not practice it. The UN will not establish or directly participate in any tribunal that allows for capital punishment. 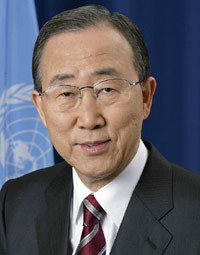 (UN News Service, "Secretary-General calls on States to abolish death penalty," July 3, 2012). See International. Listen to our podcast on the international context of the American death penalty. See New Voices.